I am planning the decorations for our end of the school year party. We are going with a summer party theme, all things beach and pool related, and I planned to hang mini beach balls from the ceiling. I may have another idea now, this fun pool noodle garland. Pool noodles come in all the fun summer colors and it would be perfect to hang in the back yard after the party is over, since it is weather resistant! 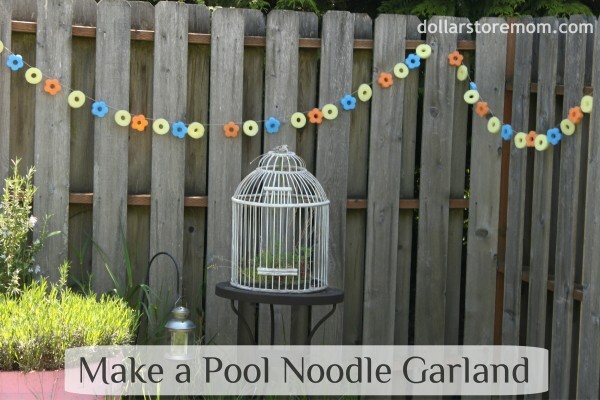 You can check out how to make a pool noodle garland over at Dollar Store Mom. Duh! That is so awesome! Why didn't I think of that? Love it!